A cure for Parkinson's disease could revolve around vitamin B3, a study suggests. German researchers have found that taking a form of the vitamin can stop nerve cells from dying off. 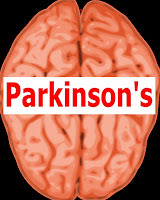 Parkinson's is a progressive neurological condition that destroys cells in the part of the brain that controls movement. Skin cell samples were taken from Parkinson's disease patients and turned into nerve cells for the experiment. B vitamins are important for our brains to function properly. If you think your brain is not working so well, eat more food with B vitamins than taking supplements. If you need to take B vitamins supplement, do not take it permanently. Some of the food with B vitamins include molasses syrup or sugar, yeast extract food like Marmite, eggs, cheese, etc.